This is a case study I have followed over the last 3 years as a rambler (walker) rather than a business coach, I have learnt from this too, but not as much as Norman and his cofounder. I want to share Anno Distillers experiences with you and for you to pass onto anybody who is considering setting up their own business. In October 2010, GlaxoSmithKline closed the site I worked on so I chose to take a redundancy package and early retirement. Over the preceding 10yrs my manager and I had developed a clear understanding of how each other worked and built a high level of mutual trust. We both wanted a change in direction and a new challenge. 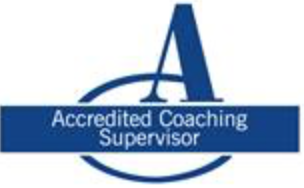 As trained organic chemists each with 30yrs experience in the pharmaceutical industry, we wanted to use the technical and managerial experience that we had built up. Also, we both wanted to experience setting up and running a company so decided to go into business together. As whisky lovers we thought of the possibility of opening a micro-distillery to make whisky. It quickly became apparent that the required storage time required for whisky (3yrs and 1 day minimum) would put unacceptable strain on our finances, so our attention turned to preparing gin. At this time the micro-distillery movement in the US was booming and also just starting with in the UK with Sipsmith in London. Also gin was experiencing a resurgence in popularity, so the timing appeared right for our business idea. A key target for the business plan was to demonstrate that the business could become self-financing before our personal investment was consumed. In generating the detailed business plan our thinking was refined and a better definition of the information and contacts we needed to move the project forward was developed. We were also able to define a range of potential suppliers helped by discussions with contacts we developed in the business such as the English Whisky Company, Penderyn Distillery and Sipsmith. We carried out some market research to confirm our business idea was realistic, had discussions with our chosen still maker in Germany about our requirements and understood the licence requirements by the HMRC. We decided that we would purchase English grain alcohol rather than carry out the fermentation stage. These planning activities enabled detailed financials to be developed and, further, clearly demonstrated that success of the company depended entirely on the volume of sales achieved. It was also clear that to preserve our cash flow during manufacture we needed to be granted Trade Warehouse status, where we could buy duty-suspended grain alcohol and pay duty when our finished product left the facility. Although we felt our business proposal was sound, we also sought and obtained confirmation from our accountants that it was achievable. We developed our USP, which focussed on being the first micro-distillery in Kent, our scientific background to demonstrate quality and understanding of our manufacturing methods as well as use of locally sourced ingredients where possible. We wanted to convince ourselves that we could make a range of styles of gin that friends and family also liked. To do this we used our development chemistry skills and information available in books and on the internet for gin recipes and worked with a small still. The outcome was three very different styles of gin (citrus led, floral and woody) by design that were all acceptable. This gave us confidence to proceed with the project, order a 300L still and find premises. The two major financial commitments taken in the early days of the company were the purchase of the still and branding for our product. The latter was an area, as scientists, we did not fully understand so had to make the investment as a leap of faith and we chose a London based branding company. We have been surprised and very grateful for the willingness of contacts to offer help and advice. We could have been braver by assuming that we could make an acceptable product that people liked and started the project in earnest several months earlier than we did. Everything takes longer to achieve than expected and it is often difficult to get suppliers to stick to timings. It is hugely rewarding to have developed a product, placed it on the market and receive critical acclaim from professionals in the spirits world as well as customers. Not all businesses are as complicated to set up as Anno Distillers Ltd but many lessons are the same. If you want somebody to talk about your plans for the future please contact neil@nvwsolutions.co.uk or have a look at my website www.nvwsolutions.co.uk. 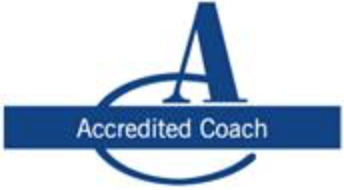 I am a Growth Accelerator business coach as well as an accredited coach with the Association of Coaching. 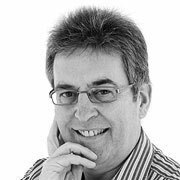 As a Development Director of 2 companies and Non Executive of another I have the practical experience of knowing what to do or what not to do, so please get in touch. PS the Gin is really good taken with Fever-Tree Tonic and even better just with ice!